If you don’t already offer orthodontic benefits, you might consider coverage at renewal, as it can be an attractive benefit if you’re trying to build or retain your workforce. A recent study shows that 88% of employees take “better health, dental and vision insurance” into consideration when choosing a job. 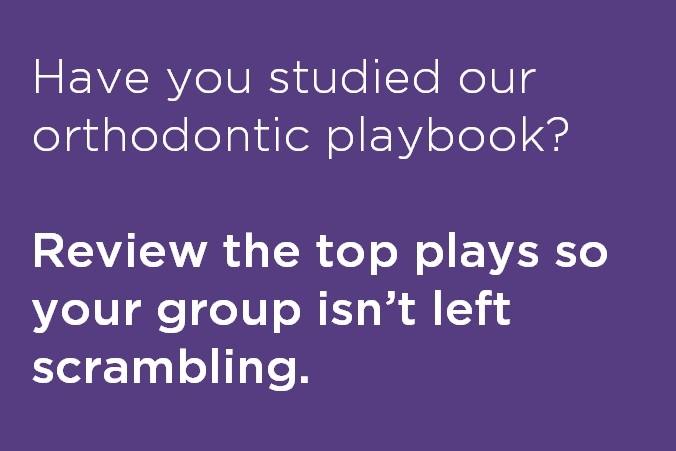 If you currently offer orthodontic coverage, review the playbooks for Delta Dental PPOTM and DeltaCare USA plans and pass them on to your employees. For specifics, you can review your group contract and enrollees should log in to Online Services (or review their plan booklet) to confirm coverage. For more news and dental insights for benefits administrators, human resources professionals and businesses, subscribe to Word of Mouth. * Your benefits may differ from the general information provided here. Review your group contract for specific details regarding coverage under your plan.